Download and print the Fee Schedule. The following table describes IESCAREE's credential evaluation services and applicable fees. Course-by-Course Analysis A transcript-like evaluation report, listing courses studied in chronological order, with U.S. equivalency credits and grades for each course. A statement of U.S. high school or degree equivalency is NOT included. This type of Evaluation report is mostly applicable for applicants who only completed a portion of a study program, and have not yet graduated. The purpose is for possible transfer of credits for continuing education. 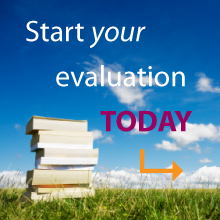 Comprehensive Evaluation Report Consists of both the General and Course-by-Course evaluations. Applicable for applicants who completed one or more post-secondary study programs and graduated with a diploma/degree. This type of evaluation is recommended for graduate admission consideration, employment, and professional Examination/Licensing purposes. This type of report is also recommended for high school graduates who would like to apply directly to a university. Multiple Programs: Evaluation fees listed on the Fee Schedule are for each program/degree to be evaluated, where noted. Additional program(s) to be evaluated, such as an Associate's before a Bachelor's, second Bachelor's, Master's, Doctorate, etc. will incur higher fees (see Fee Schedule). Postage & Handling: Required for all evaluation requests to return original documents to applicant. Refer to Fee Schedule for mailing options and corresponding fee. The minimum required mailing to return original documents is $15 for Priority Mail with Signature Confirmation through USPS. Applicants who send in a pre-paid pre-addressed envelope will still be charged a handling fee between $5-$7. Oversized packages may also incur additional fees. In very few specific cases, the required postage & handling can be waived if the applicant does not want to have original documents returned (and they become the property of IESCAREE), or if all original documents to complete an evaluation arrived as official sealed documents addressed to IESCAREE directly from the institution. Official documents addressed specifically to IESCAREE become the property of IESCAREE and are not returned to the applicant. In these cases the applicant should contact us to confirm that the required minimum postage & handling can be waived. Otherwise, any postage paid will be automatically used towards the mailing of the official evaluation. Grade Point Average (GPA): GPA is not routinely done unless specifically requested. The Course-by-Course or Comprehensive evaluation must be requested in order to have the GPA, as GPA is calculated from the U.S. equivalency of credits and grades analysis. A nominal fee of $20, per program, is to be added to the total evaluation fee for this calculation. Reconstruction Work: In few cases, when the school's transcript does not indicate the hours of study or the credits earned for each subject, the school syllabus is required. If a syllabus is not available, reconstruction work is required in order to create a Course-by-Course or Comprehensive evaluation. The Reconstruction by Synthesis form must be completed by the applicant for information on the hours of study for each subject on the transcript. The Reconstruction fee may be adjusted depending on the complexity of each case. Evaluation Timeframe: The evaluation process normally takes two to four weeks, depending on the completeness of information submitted, the type of the evaluation report, and the complexity of the documents. All evaluation requests are processed on a first-come first-served basis. Rush Service: IESCAREE offers rush services of one, two and five-working days. Rush service starts when all required information, documents and fees are received at IESCAREE. Rush service requests are accepted on a case-by-case basis. One-day Rush service requires prior approval. Please contact us by email or phone. Money order is required for rush services. Additional Sealed Official Evaluation: All evaluation files in good standing are kept active for three years from the date the evaluation is completed. The expiration date is indicated on a cover letter attached to the Applicant's Copy of the evaluation report sent to the applicant. Within this period, additional official evaluations may be requested for different institutions, for a nominal fee of $30 per official evaluation, plus any additional postage & handling fee requested. If any change to an evaluation completed or changed prior is requested, a revision fee of $30 will be charged in addition to the cost of any additional service(s) requested. Expired files will be purged and destroyed, and applicants will need to reapply if an evaluation report is still required. A discounted fee will be considered for all applicants who reapply. Payment: Full payment must be made together with the application and in U.S. currency by money order, cashier's check, or personal check (payable to CAREE/International Evaluation Service). International Money Order in U.S. currency is required for payment from overseas.